Since this is the first publication of the year, Happy New Year to all of our members! 2018 was an extremely busy year for the Local, we ratified contracts for 7-Up, MillerCoors Brewery, Bud Sylmar Distributor and finished up the negotiations for the Budweiser Brewery. We moved the Local into our own building in Pasadena, and held Officer elections during a five month window, that was one busy year! I want to congratulate the Board Members, Business Agents and Staff on the overwhelming election victory of the Cooper/Indelicato Slate. Thanks to everyone connected to the Slate, it’s your daily hard work that the members appreciate and rewarded with another three-year term. I also want to welcome new Board Member and Trustee Charles Johnson. Charles works at Ace Beverage and is looking forward to the challenges that come with the important task of being a trustee. 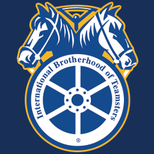 For those of you that are not familiar with the role of the trustees on the Executive Board, it is their duty to conduct a monthly examination of the books of the Local Union, and to have the results reported at the next regular membership meeting. They sign the books of the Secretary-Treasurer if they have found them correct and the bank balances verified. The Trustees reports are then sent to the General Secretary-Treasurer as required by the international Constitution. There are more duties of the Trustees, but the members need to know that the Trustees are there to protect our Local Union, and to make sure our members monies are spent per the direction of their Executive Board. Let me take this time and say thanks to Michelle Jimenez who served as a Trustee for the Local for the last three years. Great job Michelle! 2019 finds the Local jumping right into Pepsi negotiations. Our committee met with the company on February 5th and 6th to discuss many issues that were unique to the different Pepsi facilities. At the negotiating table were Stewards and Business Agents from locals 186, 848, 896, 952 and Local 986. We also included a couple of Stewards from Pepsi Riverside, their first time to participate in joint Union negotiations. We are scheduled to return to the table in early March and will be address the issues that are important to our members, like wages, health care cost and pension to name a few. Though they are present during the current negotiations, the Stewards representing our Pepsi Riverside facility will be part of their own negotiations later this year. Pepsi Riverside will be negotiating their second contract as members of Local 896. We expect these talks to be very tough because there are quite a few things that we need to fix in this next contract. First contracts are, just that, first contracts. Companies do not want to send a message to their other non-union shops by giving the newly organized a great first contract. And to be completely honest, companies also hope they can get a decertification during those first years of the contract. Our Pepsi Riverside members have stayed very strong and are determined to receive some well-deserved improvements in their second contract. This year also will find us in negotiations for the second contract for newly organized merchandisers working at Budweiser Distributors in Carson (Beach Cities) and Sylmar. Like the Pepsi Riverside negotiations, the members of these two different distributors look to improve on their first contract. These workers are extremely under paid, when compared to other merchandisers doing the same work. Budweiser will need to step up to the plate and give these hard-working members the respect, wages and benefits they deserve. Congratulations to the Budweiser Brewery workers of Fairfield and Van Nuys on the ratification of their new five-year contract. While there are some very good items in this contract, the fact that the new hires will have considerably less Health and Welfare was a problem for all current members. The Union recently met with employees of Northwest Administrators and a Union Trustee to see if there is a decent plan for future Budweiser members. We are currently looking at a Kaiser only plan that could work, but we are still discussing a few other options. Heath and Welfare for all current Budweiser employees continues to be one of the best plans the members of this Local have. And it is good to know that with the negotiated increases and where we are currently with the cap, they should continue to enjoy the medical without any form of monies from their weekly checks. Congratulations to all Chief Stewards that were elected to another term, or to their first term. We will be having Steward training seminars soon and we will also be having a new member seminar later this year. Please keep an eye on your Union Bulletin Boards for upcoming events. To the members of Ace Beverage, 2019 was a very tough year. Ace was forced to sell off its Constellation Brands, (Modelo and Corona) to Harbor Distribution. The loss of 7 million cases has led to many permanent layoffs. The Company used the “Warn” act to lay off these employees and the Union was able to negotiate severance packages for those affected. The Union also reminded the company that all of these laid off employees have their jobs protected for six months by the Warn act and should the company need to rehire any of these members, seniority must be honored, whether the member took the severance package or not. We are trying to help as many of these displaced workers find jobs. Recently, Sysco offered several openings to those with Class A licenses. Congratulations go out to recent retirees: Frank Locuito (MillerCoors) and Reggie Blair (Coke Ontario). Our deepest condolences to the following members and their families: Frank Kincaid (Anheuser-Busch, Fairfield), Obra Lee Tyler (MillerCoors), Mike Morrison (MillerCoors), Richard Johnson (MillerCoors) , Joe Taylor (MillerCoors) and Ray Fuentes (Allied Beverage).